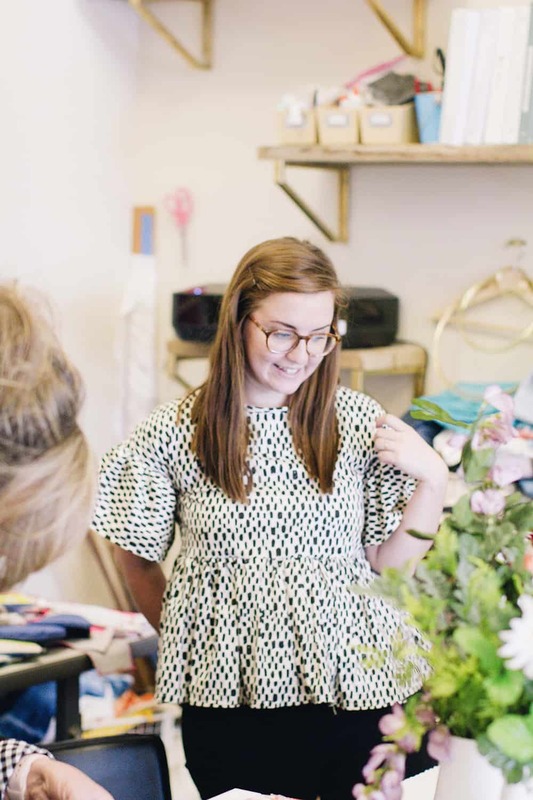 We hosted five students from the Wichita area, most with minimal former art & design experience but all with the dream of one day designing their own fabric. It was a small but very fun and productive group! 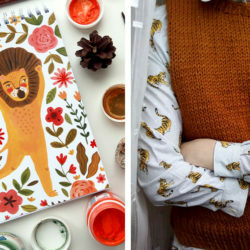 They started off by finding inspiration on the internet and the Spoonflower catalog. 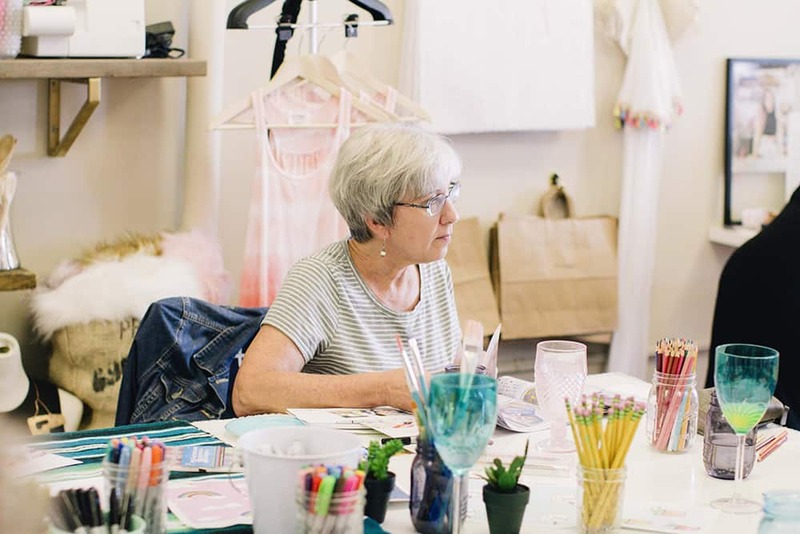 With an idea ready, they drew their designs on paper and were provided with acrylic paint, colored pencil, watercolor, or Sharpie to add color. Most students ended up choosing to use watercolor and outlined their designs with ultra fine tip Sharpie. (All while enjoying tasty drinks and snacks that Olivia provided!) I was amazed at the designs they had come up with, despite all claiming they hadn’t drawn much before. 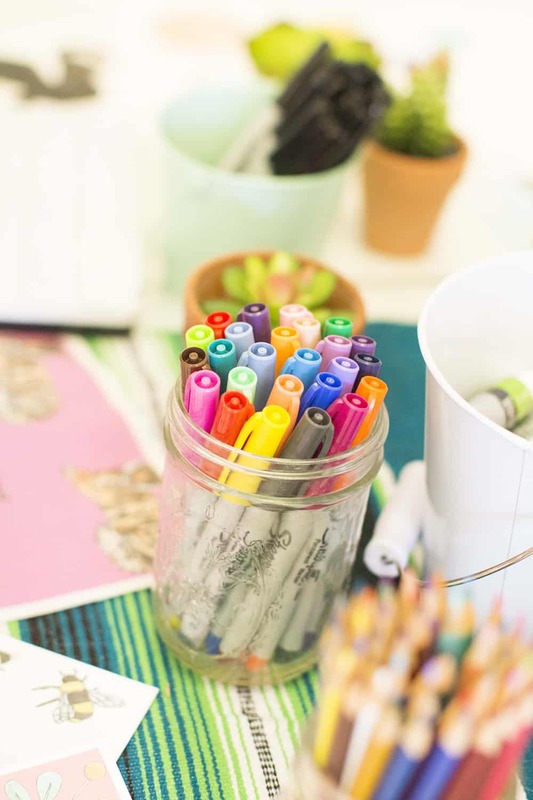 It’s time to bring those pencil drawings to life with colorful markers and watercolors! As students finished their designs we brought them over to scan them. Once scanned, we uploaded them into Photoshop and used a variety of tools to edit the original image, removing any pencil lines and mistakes and dropping out the paper background so that we could replace it with a background color. With their image edited, we cropped it to the size they wanted and selected a color using Spoonflower’s color guide for their background. Going digital with fabric design! I then helped each of them upload their fabric design onto the design section of Spoonflower and adjust their size and layout until it was just how they wanted. They loved how easy to it was to use and were so happy with their finished fabrics in the design tool! The fabric sample pack was also a great tool to help select the right fabric for each of the students’ final projects. Some came with ideas in mind, like decorative pillows for their newly decorated bedroom, others thought of projects after they designed their fabrics like matching tablecloths, napkins, and tea towels, and the rest weren’t sure what they were going to use it for, but were so excited to see the finished product. 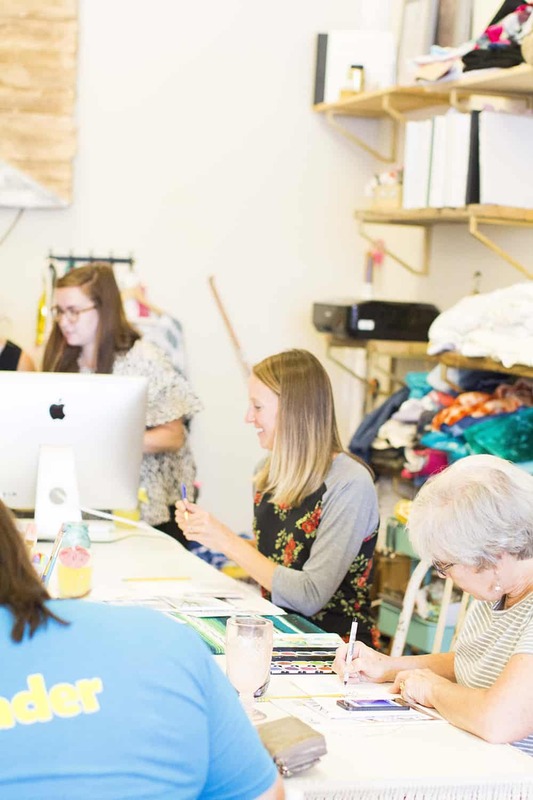 The hardest part of a fabric design workshop? 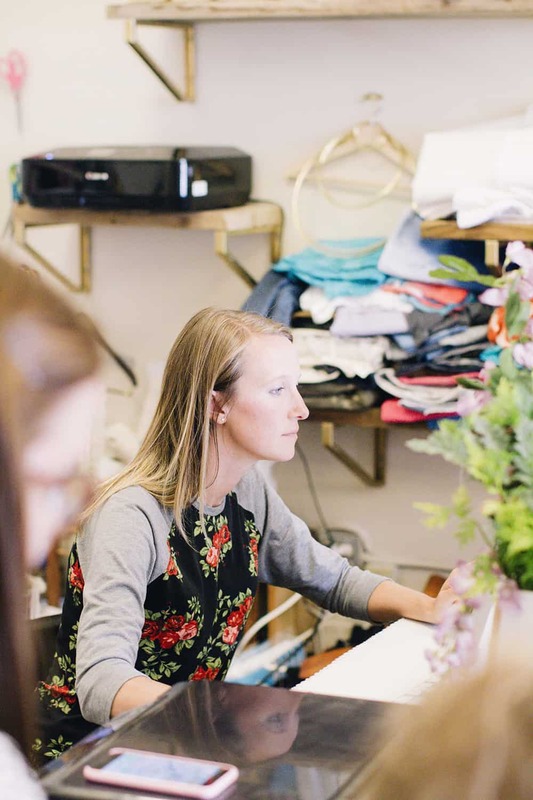 Choosing which fabric to print your design! It was such an amazing experience to meet up and design with others. The students came up with some really great ideas that will make amazing fabric. We are all so excited to see how their fabrics turn out and what they will end up making! 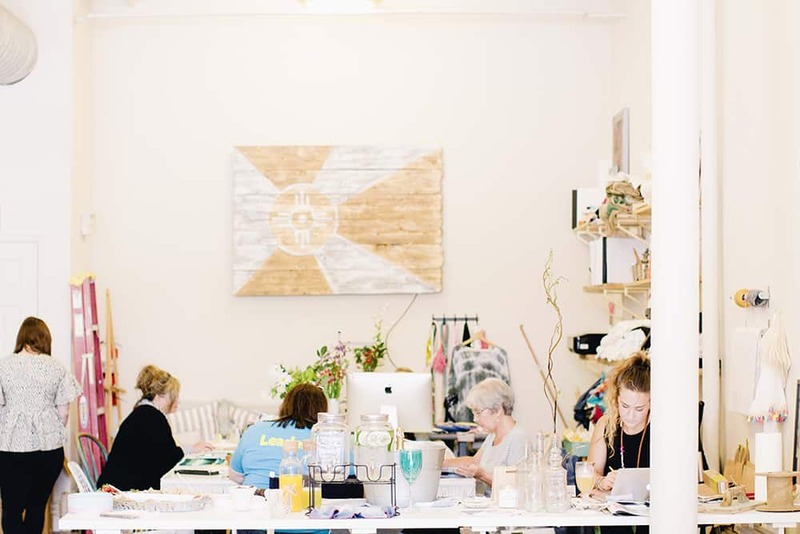 Ready to sign-up for your first fabric design workshop? 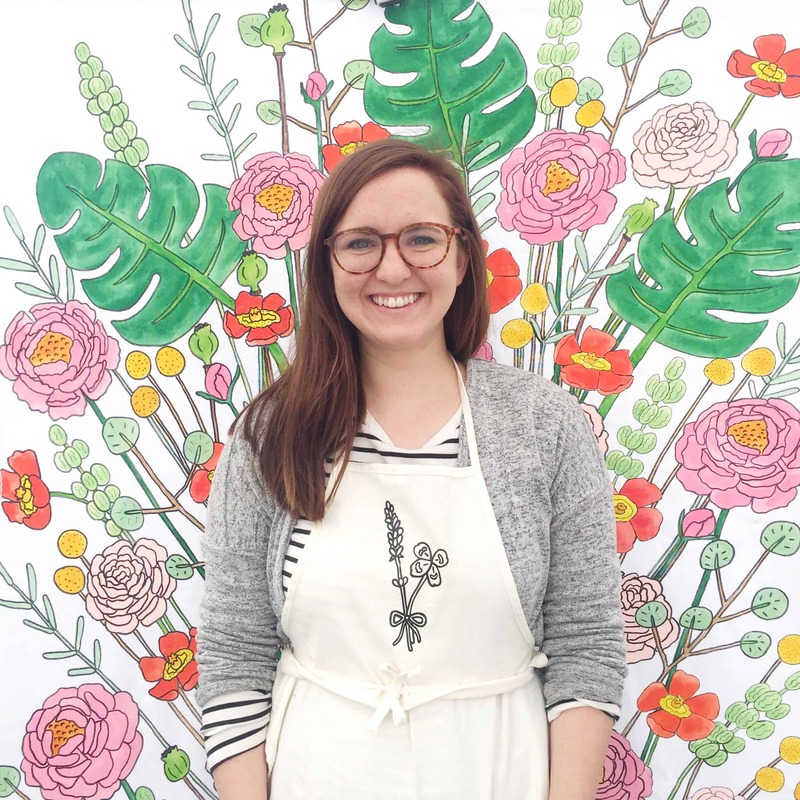 Stay tuned for details on the Fall Spoonflower Handbook Master Class taught by co-author, Becka Rahn! Leah Gaeddert is an artist/designer based out of North Newton, Kansas. 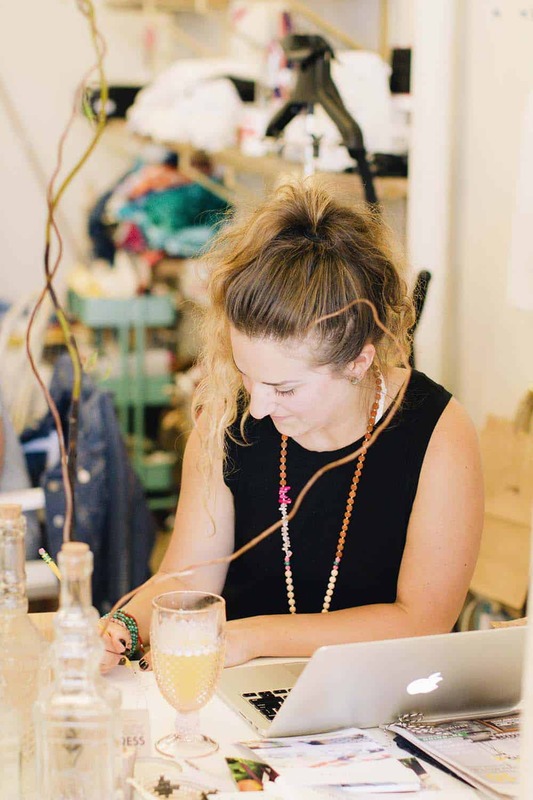 Leah is the owner of Lavender & Clover a paper and baby goods online and pop up shop that she started in August of 2016. 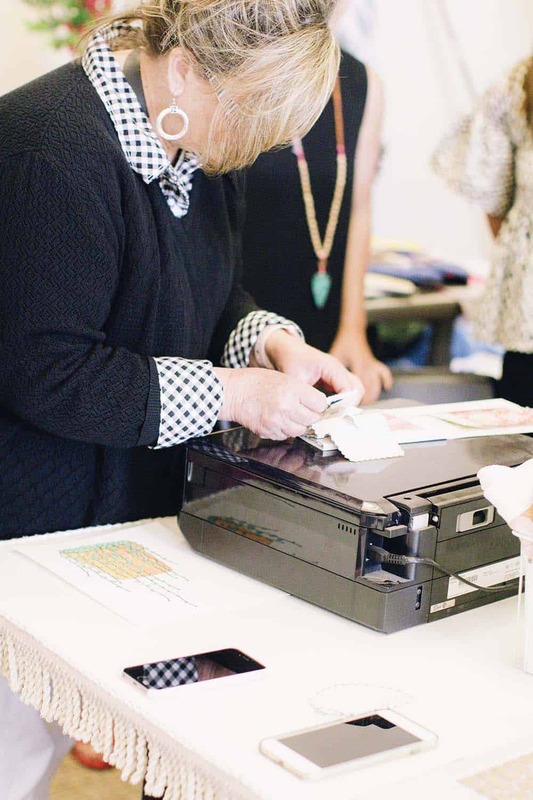 Her products feature her watercolor and ink paintings printed on paper cards and fine art prints and also on fabric that she sews into baby blankets, burp rags, teether toys, and other baby products. Hi Thank you so much for this article . The students at TTU need a very special color in their fabric designs Pantone’s color of the year Ultra Violet. Exactly how do the need to designate the color for you to replicate the RGB 38 3838 color? Thank you so very much! If you’d like a specific color in your design, you’ll need to incorporate it before you upload it to Spoonflower! Thank you for the directions for making pattern repeats. Will you please show us the directions for making a boarder print? 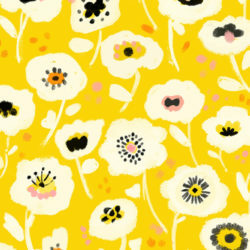 Thanks so much for your interest in Spoonflower! We don’t have any plans for a design workshop in New York but you can find out about upcoming workshops by subscribing to our weekly email.